Robin is home for a week! And today is the first rehearsal for my children’s and teen choruses. I’m excited to get started. I’m really hopeful that March will be a better month, and that I can pull myself out of the doldrums I’ve been in for the last month or two. And congratulations to Bea @ Bea’s Book Nook, who won the Restoree giveaway! Everything else is TBD. All my “cushion” reviews are used up and I am scrambling to get some more written. 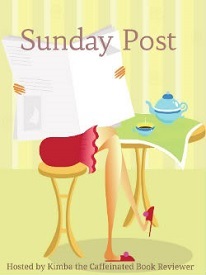 I’m still working on Cathy Ace’s The Case of the Missing Morris Dancer and A Deadly Tail by Dixie Lyle. The Take Control of Your TBR Pile Challenge has started, so I’ll be reading some books from my TBR pile, both physical and virtual. I’ve already read four Jayne Ann Krentz backlist titles: All Night Long, Smoke in Mirrors, Soft Focus, and Hidden Talents. Thank you to Midnight Ink! The Julia Quinn books are in my favorite series by her; the other two I haven’t read, although I’ve listened to part of Notes From a Small Island. 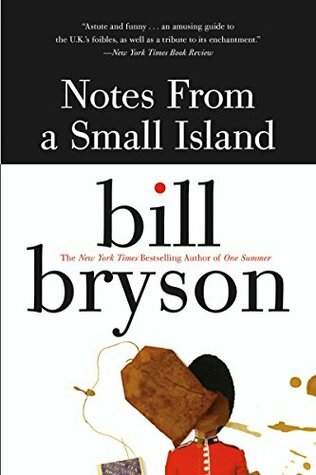 I became irritated with the narrator (not Bryson) so I decided to read it instead. 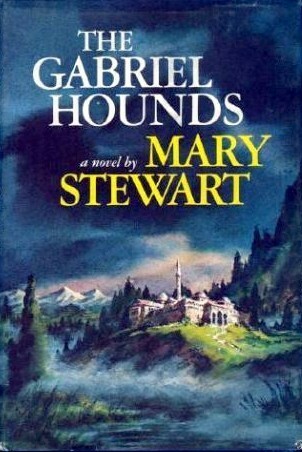 I’ll look forward to your review of The Gabriel Hounds — that’s one Mary Stewart I have not gotten to yet. Yay for Castle in the Air! one of my favorites by DWJ. Have a great week! Oh, I am so late replying to these! 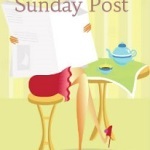 I hope you had a chance to read the review of The Gabriel Hounds. (If not, the title is linked to the review.) 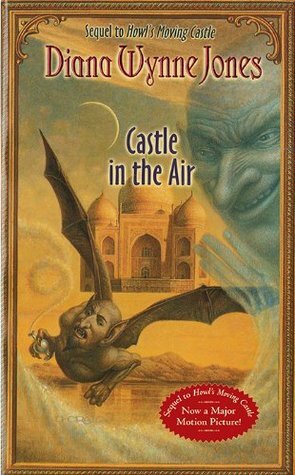 And I need to make time to read Castle in the Air! I hope March will be a better month for you! I got The Madness of Mercury for review through netgalley and am looking forward to reading it! I’m so late replying! March was better, thank you. I still haven’t read The Madness of Mercury, but it’s inching closer to the top of the list as I work my way through stuff that publishes earlier! 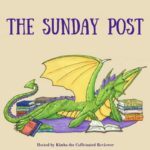 Enjoy reading from your stacks…I’m doing the same, with a different challenge: Reading the Books You Buy. 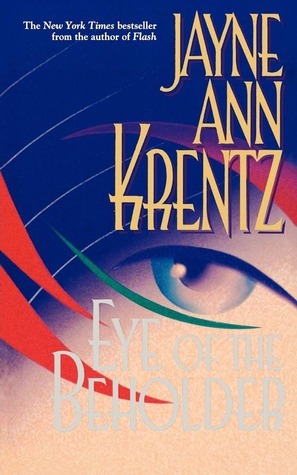 I enjoy Jayne Ann Krentz, and don’t have any of hers on my stacks…I seem to read them right away. We got the same books for review again, lol. I’ve been in a reading and reviewing slump too. Enjoy having Robin home and good luck with your rehearsal. You are most welcome, and I’m so glad you won it! Yay for Robin being home! I’m sure you’re having a wonderful visit with her. 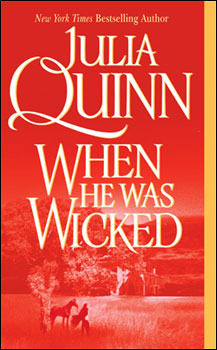 I love the 2 Quinn books you got though it’s been so long since I read them. 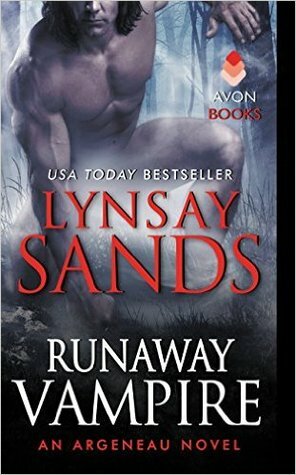 I especially loved When He Was Wicked but I’d love to reread both. I have Madness and Mercury as well and am looking forward to it. Good luck with your rehearsals. I’m looking forward to your Gabriel Hounds review. I know I’ve read it and I remember enjoying it but I remember nothing else. Have a great week! I’m late posting a reply — sorry! We loved having Robin home. It was hard to let her go on Saturday, but we’ll see her next weekend at my Mom’s, so it’s not too bad. And after that, it should be less than 2 months until she’s home for the summer. I liked your review of The Gabriel Hounds and your TTT this week. Hope March is a better month for you. Enjoy Robin’s trip home! I know what you mean about moving books. We moved about three bookcases full of books when we bought this house. Now we have about 17, 4 of which are my daughter’s and a few of which are reference, cookbooks, and nonfiction. The rest are mine. I’ve started pruning too, even though we’re not planning to move. But for me, even the sentimental faves take up about 6 bookcases! I really do hope March is a better month for you! It must be nice to have her home for a week! I really need to try reading a Cozy, they have the best covers and everyone I follow seems to read them, you have me all curious! I think you would really enjoy cozies. They’re fun and usually light. Ooo Quinn books..always a perfect escape. Enjoy Robin, hopefully the weather is lovely for some girls days out! I love Julia Quinn. I’ve actually read those two multiple times, but I’m looking forward to diving into Because of Miss Bridgerton, which I got as an Avon Addicts ARC. I hope March is a better month for you as well. 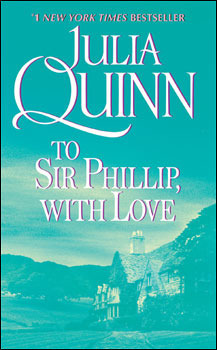 I am new to Julia Quinn and look forward to reading more. I hope March is better for you, Lark. I’m out of my already-written reviews, too, and we’re very busy packing, but I’m taking a break now and then to catch up with other bloggers and try to write a few posts. I have almost all of JAK’a books–as paper books–and I kept those when I was giving away others. They are such comfort read books. I look forward to unpacking them and reading some in our new house. Yay for Robin being home. Hope you’re enjoying the week with her as well as rehearsals with the choruses. Thank you, Jan. I’m glad to know you’re a fellow JAK lover! And I wish you luck as you pack and get ready to move. But I wish we’d been able to get together before you leave the area!